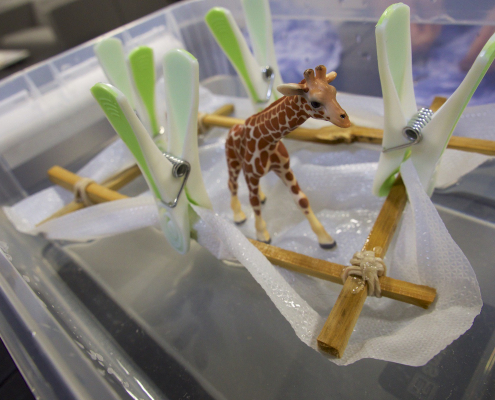 Giraffe on a Raft is a workshop about understanding materials, making predictions, and running fair tests. And giraffes. Don’t forget the giraffes. Nobody’s entirely sure why the giraffes want to take a trip on the rafts. Perhaps they’re trying to escape a flood, or maybe they’re looking for adventure. You might come up with your own ideas while you’re doing the workshop, but for now let’s concentrate on what you do in the workshop. Taking notes about what happens in your tests. 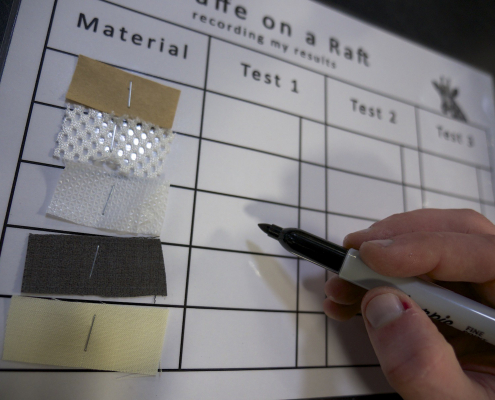 If a giraffe wants to travel on a raft, what sort of material should it make the raft out of? Hmm. Perhaps not very real problems. But real enough for the plastic giraffe. 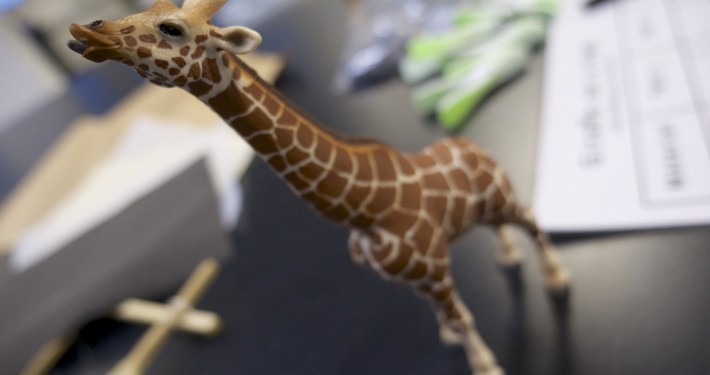 We provide you with the framework of a raft, a bunch of different materials, some test weights (washers) and an intrepid giraffe. How you can make sure your test is fair? Are you testing how long the raft floats for, or how much weight it can carry? Or both? How will you record your observations? How will each different material perform? Which do you think will be best? Why? You’ll find an awful lot of sinking and hopefully a bit of floating as well, as you explore why some materials are better than others for keeping giraffes afloat. You might also find some surprises. What do you think might happen to a raft made out of brown paper? A paper raft floating while carrying a heavy load. A paper raft that’s fallen apart. 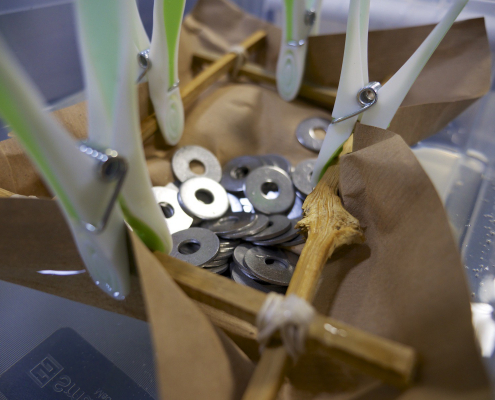 By the end of the workshop you should have a really good idea of how different materials behave. Hopefully, you’ll have made a firm recommendation to your intrepid giraffe, and will have floated it happily on your raft. Nurturing your child’s natural curiosity will help them practice key skills. 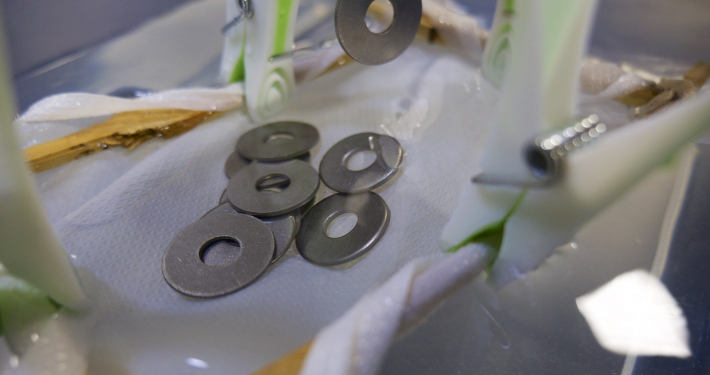 At home, you could explore the idea of floating and sinking by making simple boats out of aluminium foil (aluminium food trays are particularly good). 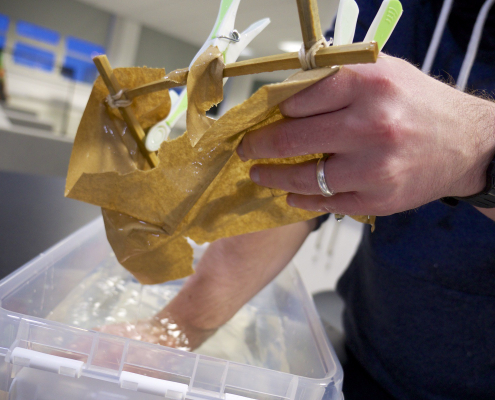 Try making boats of different designs, and test them in the bath or sink. Use toys to test how much weight they can carry. Why are some designs better than others? 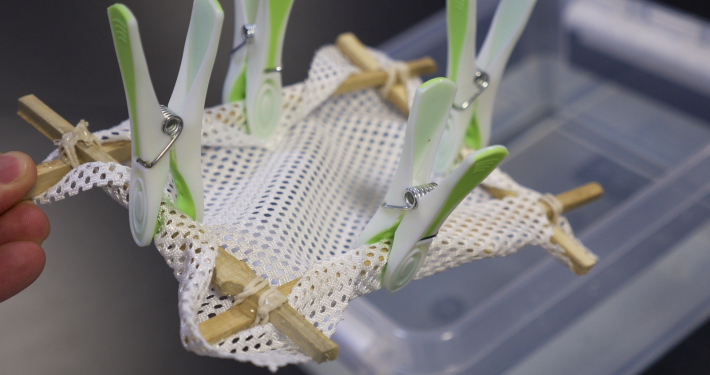 You could also explore whether some objects are buoyant – whether they float. Collect a bunch of things you don’t mind getting wet, and together, make predictions about what you think will float, and what will sink. Then test out your predictions, and try to explain why you got some right, and others wrong. “Tell me about…” is a particularly useful phrase. It’s a less direct challenge than “Explain this…”. Science is more about what you can observe and describe than what you already know. That’s true. 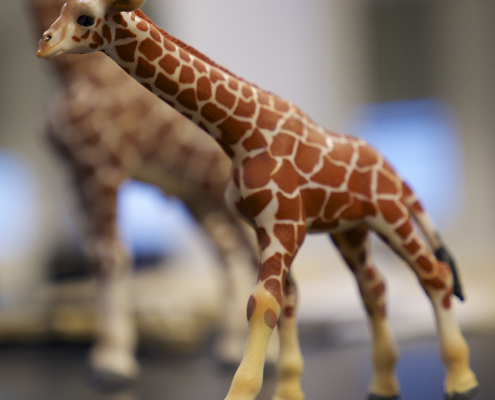 Giraffes are odd animals, but they’ve never been observed in the wild building rafts. They don’t even seem terribly interested in engineering. Design, engineer and manufacture boats, ships, oil rigs… they care very much about what sorts of things float. They also sometimes care about the sorts of things that sink – naval architects design submarines, too! If it’s in the sea, oceanographers want to know about it. They study seawater, the polar ice caps, the atmosphere, and the biosphere. They work out how the oceans move, and how they’re changing. Oceanographers might specialise in fishers, minerals and mining, pollution, weather and climate prediction, or renewable energy. A lot of the raw materials we use come from the sea. Not just fish – everything from salt to magnesium. Chemical engineers work out how to extract and concentrate raw materials, then turn them into industrial materials we can use. 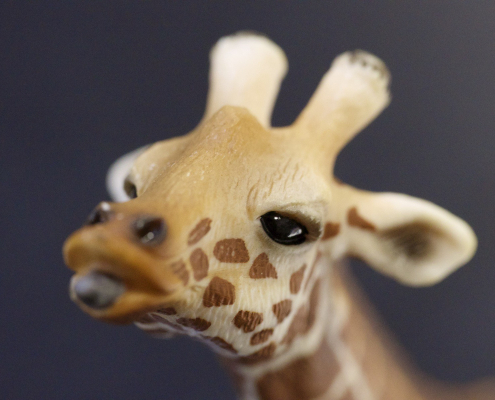 If it’s the giraffe that interested you more than the raft, think about zoologists – who study animals – and marine biologists – who study fish and other sea creatures. They look at the animals and their environments: what they eat, how they interact, and almost certainly not how they make rafts.